It’s often said that everyone in America wants to be famous, and thanks to social media any regular idiot can reach millions. Unfortunately for Paul R. Powell and his YouTube channel featuring his apparent participation in what appears to be illegal street racing, he also managed to reach Plainfield, Illinois police. The Chicago Tribune reports that on Monday, Powell faced a judge on 15 counts of street racing and a single count of child endangerment. He was one of four people arrested on street racing charges brought by Plainfield police and the Will County District Attorney. Three more men have warrants out for their arrest, the newspaper reports. Powell’s YouTube account seems to have started out innocently enough. 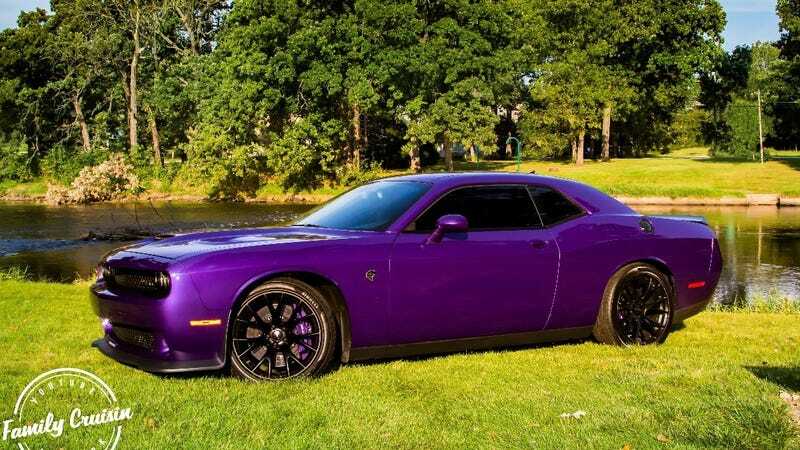 The now-empty account was even called FamilyCruisin, though it mostly featured videos of Powell’s Dodge Challenger Hellcat, which went up in flames due to a mechanical failure. This was the video that piqued police interest. “I never, ever thought that people would want to see a fat guy from Chicago do that,” Powell said in an Aug. 16 video, Illinois’ Herald-News reports. They did indeed want to see a fat guy from Chicago do crimes in a car. The profile eventually reached 64,490 subscribers and about 9.9 million views. Some of the videos reportedly show Powell driving his Hellcat as an Uber, but Powell’s father told Herald-News that those videos were staged. Before his arrest, Powell was a system analyst at Microsoft, but lost his job following news of his run in with police, according to news reports. His family has set up a GoFundMe to help with bills and lawyers’ fees and his YouTube community of car enthusiast are rallying support. YouTuber Joeysixtysix said on his account that the arrests were scary for the community. “Scary stuff, guys, when the stuff you do on social media can be used against you,” he says. Well yeah, Joey! So here’s a reminder kids: If you’re going to do crimes, don’t put them on the internet for everyone to see. Better yet, don’t do crimes! Save your Mopar shenanigans for a track day.